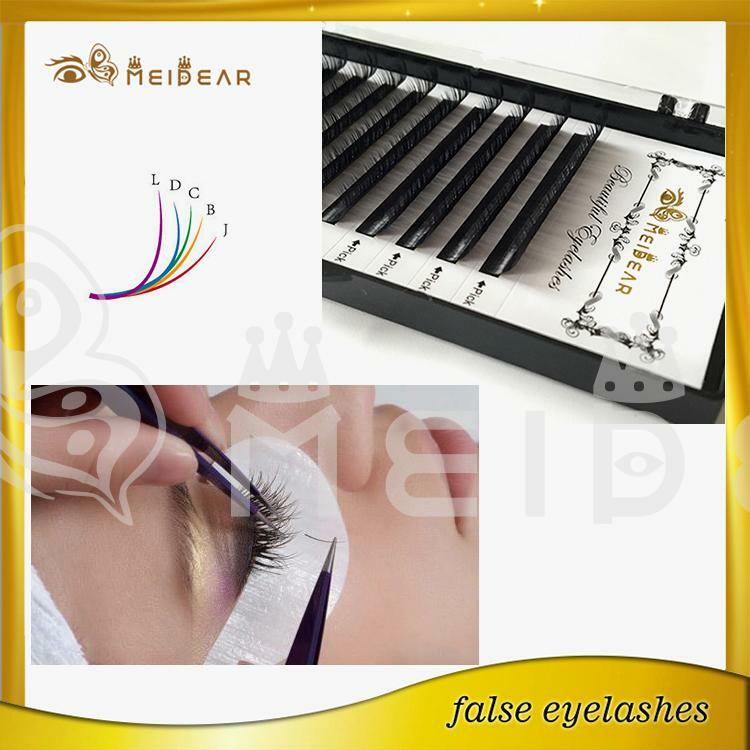 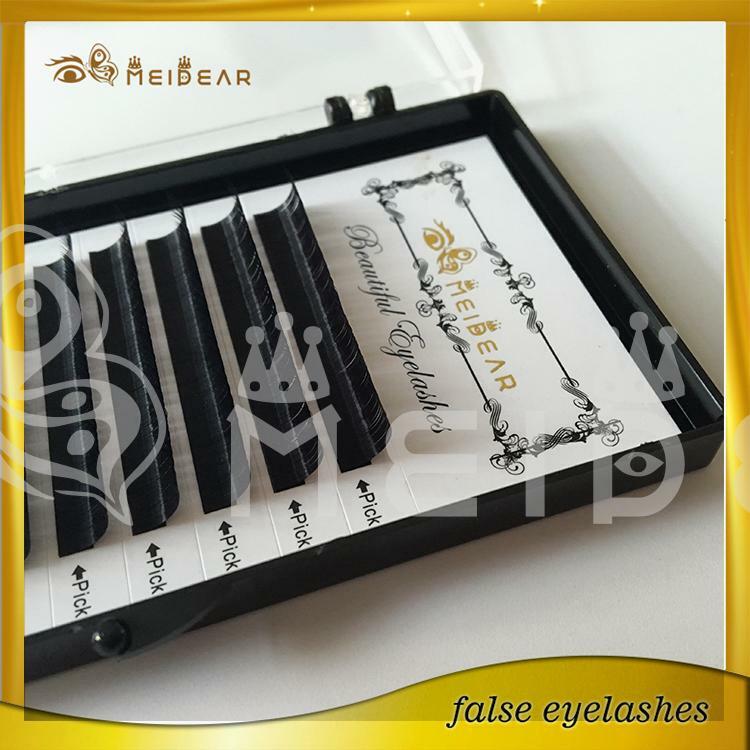 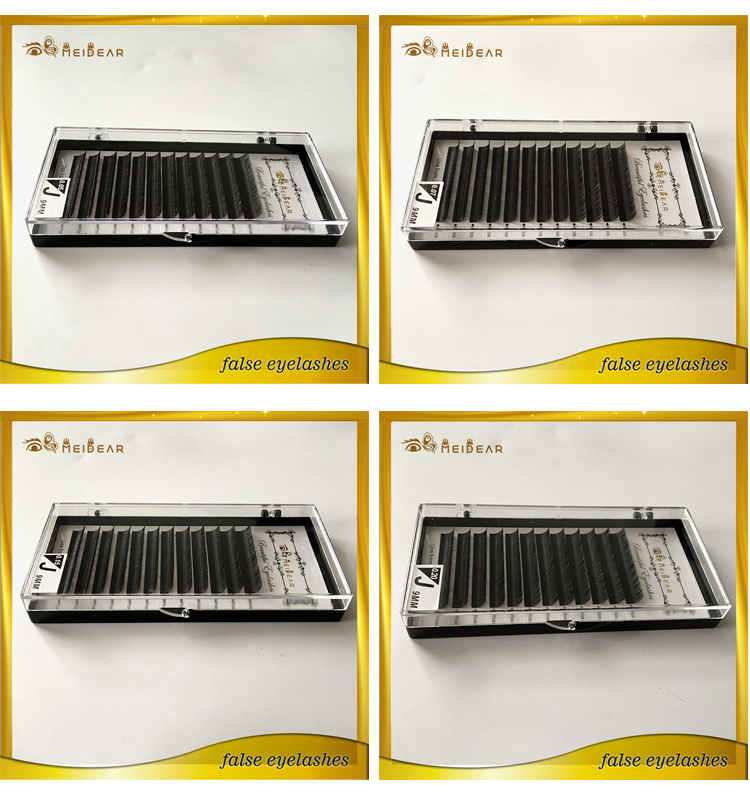 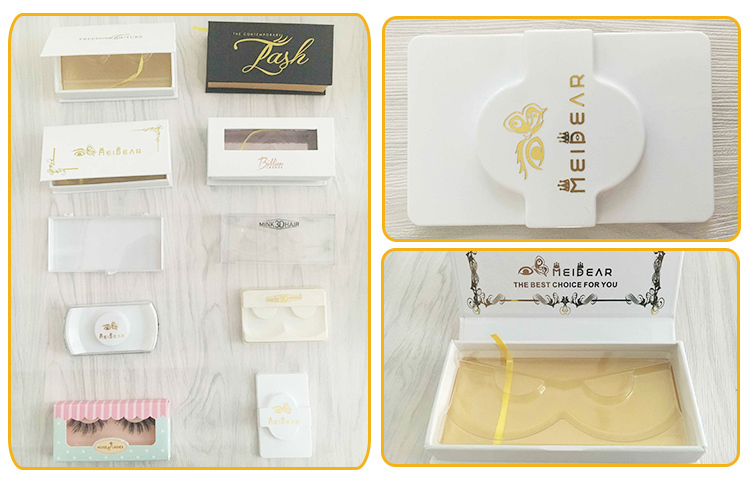 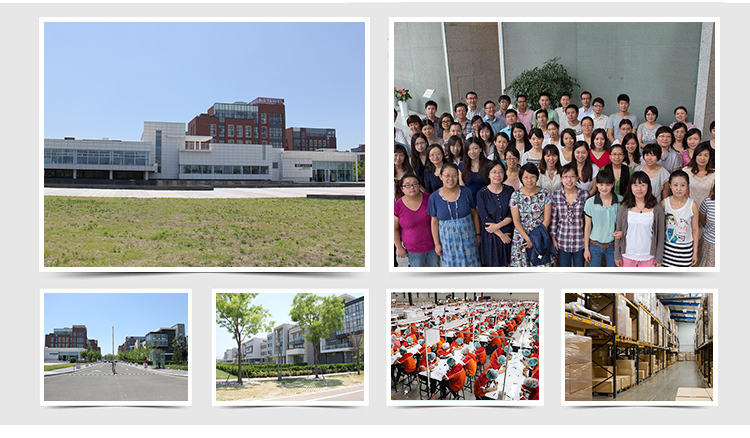 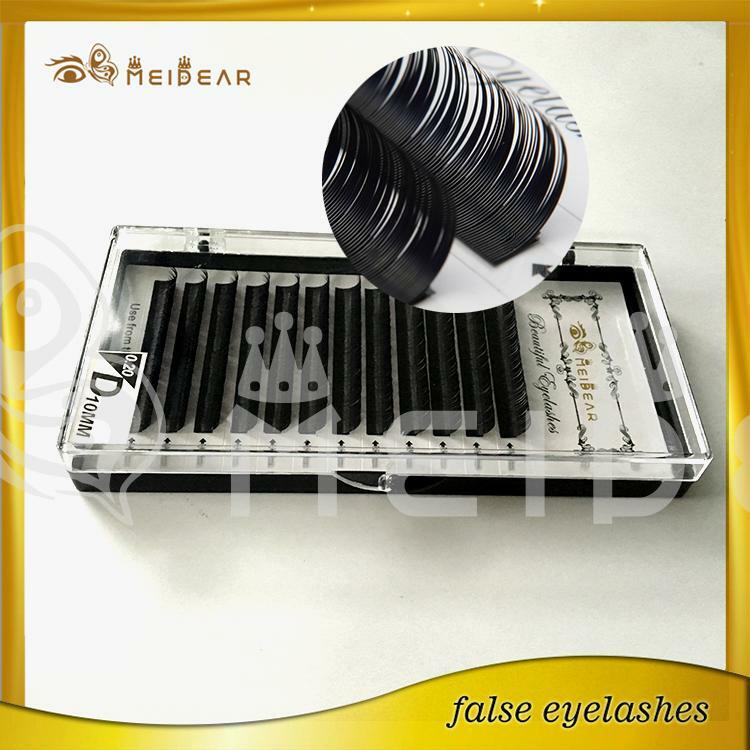 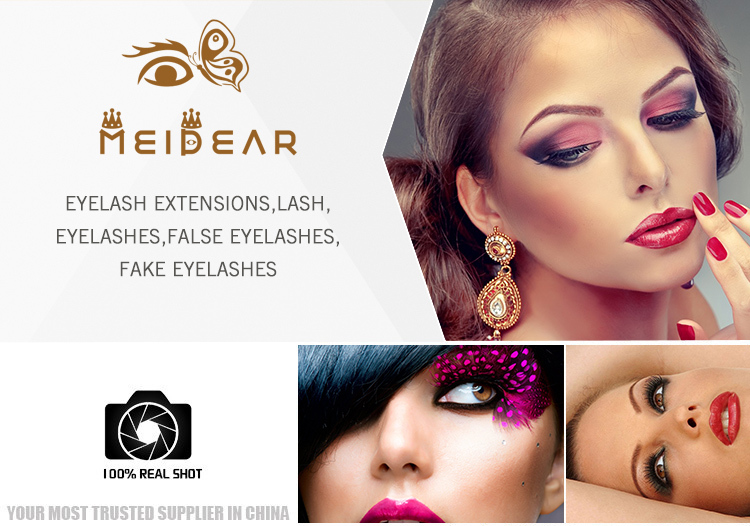 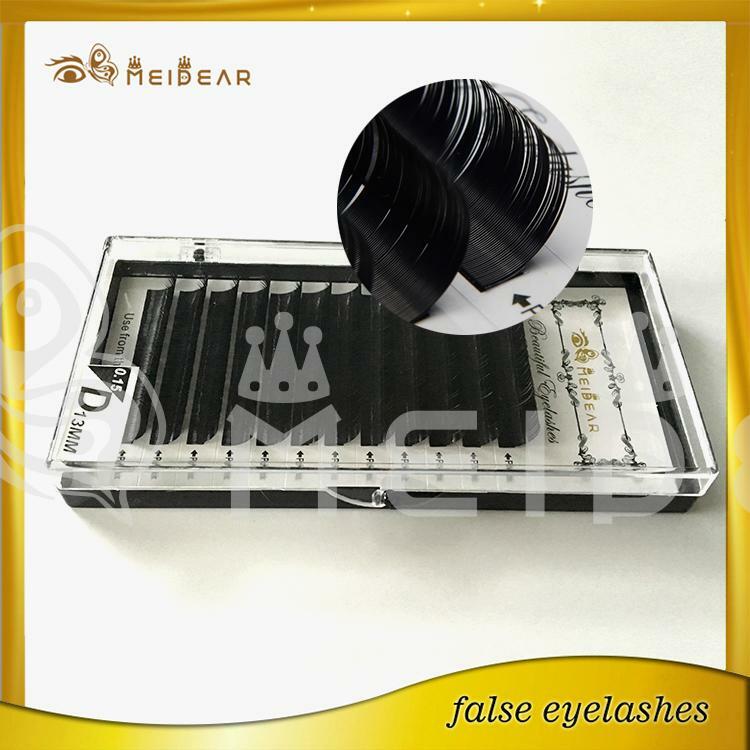 Natural eyelashes extension silk material custom packaing private label.Meidear single synthetic eyelashes are applied to your own natural eyelash to achieve a beautiful full luscious and long set of lashes that are natural and you will not even know they are there. 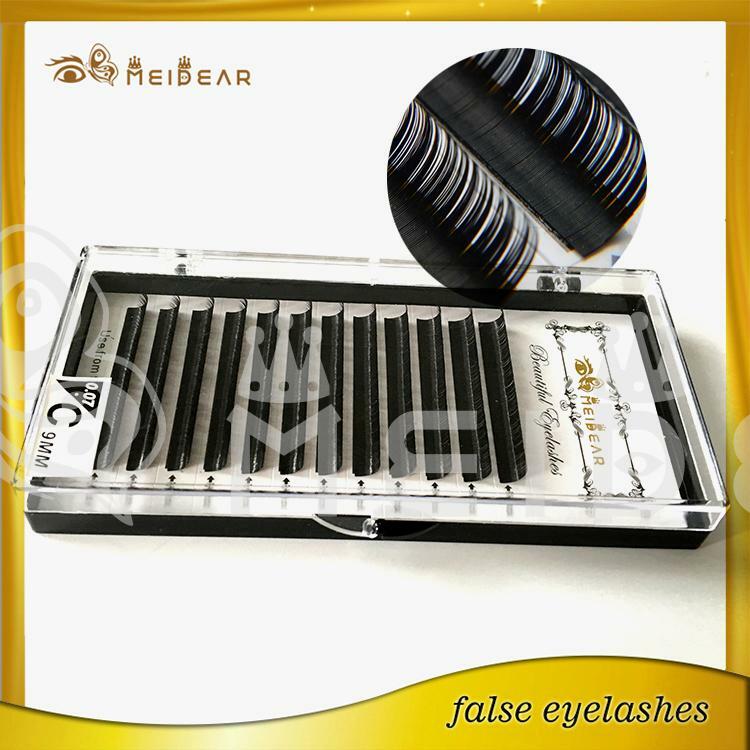 We should be very careful to who applies the eyelash extensions and make sure they are trained.we can not stress such importance of choosing an eyelash technician who has been taught by a qualified and experienced person. 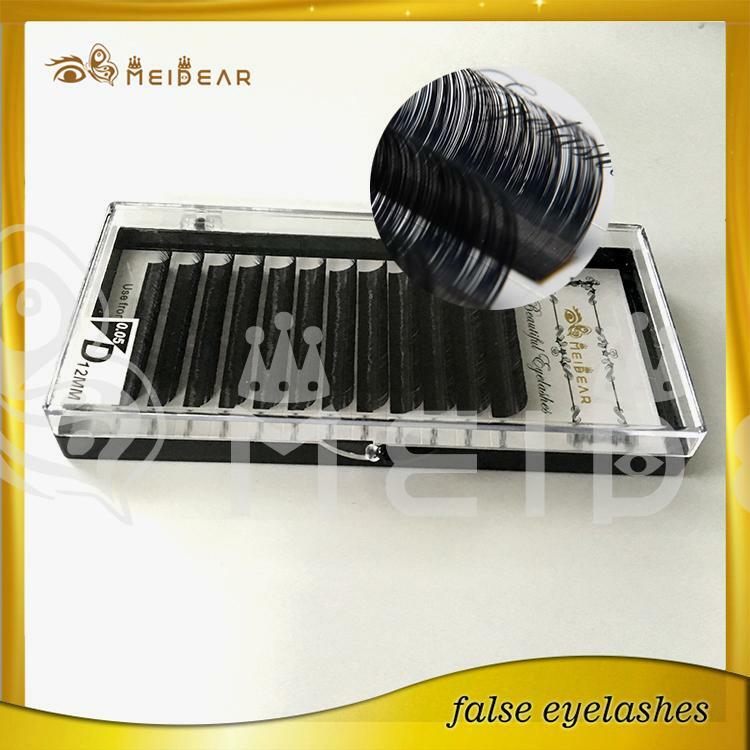 There are many eyelash extension technicians who are claiming to have been professionally trained but have been self taught via the internet and these operators are also using poor quality products bought on ebay.Eyelash extensions are a perfect way to add volume and length to short/sparse eyelashes. They are also a great option when you are wanting to add drama to your look for a special occasion.